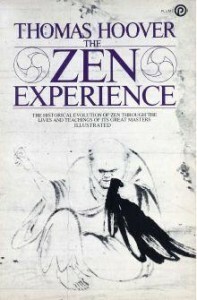 The Zen Experience by Thomas HooverZen has always resided in individual experience rather than in theoretical writings. To give the reader access to understanding of this truth, The Zen Experience by Thomas Hoover illumines Zen as it was created and shaped by the personalities, perceptions, and actions of its masters over the centuries. Beginning with the twin roots of Zen in Indian Buddhism and Chinese Taoism, we follow it through its initial flowering in China under the First Patriarch Bodhidharma; its division into schools of “gradual” and “sudden” enlightenment under Shen-hsui andShen-hui; the ushering in of its golden age by Huineng; the development of “shock” enlightenment by Ma-tsu; its poetic greatness in the person of Hanshan; the perfection of the use of the koan by Ta-hui; the migration of Zen to Japan and its extraordinary growth there under a succession Japanese spiritual leaders. Beginning with the twin roots of Zen in Indian Buddhism and Chinese Taoism, we follow it through its initial flowering in China under the First Patriarch Bodhidharma; its division into schools of “gradual” and “sudden” enlightenment under Shen-hsui andShen-hui. Published by: The New American Library, Inc.